High Electricity Costs Hurting Your Business? The rapid decrease in solar power costs and solar power being accepted as a proven technology continue to make it to the headlines and hog the limelight in the energy spectrum. Many enterprises today are interested in owning solar power plants in order to significantly reduce their electricity expenses. But most organizations are still unaware of how to go about this and also are clueless on whether solar power is indeed a viable option for their enterprise. Who can benefit from Solar Mango’s Consulting Assistance? Commercial organisations and industries are currently paying about Rs.7-8 (sometimes even more) per unit for energy consumed from their state utilities. And these tariff rates are expected to increase year after year. Comparing this with the fixed solar power generation costs only about Rs 4.5/unit, thus making a strong business case for organisations to go solar. Companies that are looking to meet their renewable purchase obligations are also keen to explore solar power. Solar Mango’s Consulting Assistance can be availed by any of these organisations who wish to ensure smooth and effective transition to solar power. Why would companies need Solar Mango’s Consulting Assistance to go solar? A solar power plant that has been implemented by a company for its own power needs is called a captive solar power plant. On-site captive plants – which are usually erected in the premises of the company. These are usually erected on the rooftops of buildings in order to make optimal use of area available. Off-site captive plants – which is erected on a suitable parcel of land and could be miles away from the point of energy consumption. Power is generated from these solar plants and is transmitted across the utility grid and consecutively used by the company. Additional charges for using the utility’s transmission infrastructure may be applicable in most states. Estimate future cost trends for the grid power and compare it to the lifetime cost of solar power. This step will establish the financial feasibility of a captive solar power plant for the business. 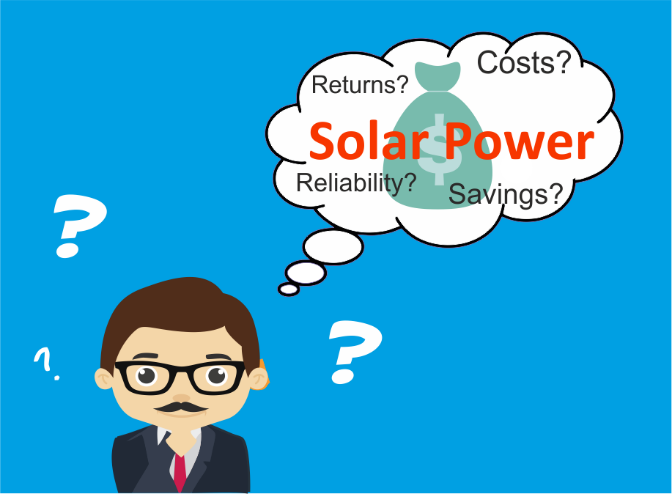 If feasibility exists, analyse the state solar policy and regulations to identify incentives and constraints for captive solar power generation. Now, any enterprise, who is new to the solar industry and is looking forward to own solar power plants, would find the above processes both cumbersome and time-consuming. This is where Solar Mango’s expertise comes in. 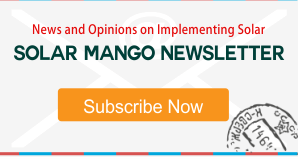 How can Solar Mango help? Estimate the optimal capacity needed for the captive solar power plant – This will be based on the existing power consumption and the area available for setting up the power plant. Analyse financial feasibility of the solar power plants – Our finance team has a robust financial model that will provide a precise idea of the business case for captive solar power plants – in terms of expected rate of returns and actual payback periods. The Solar Mango team is fully updated on the solar policies of all the major states, and how these policies affect captive solar power generation. The techno-commercial feasibility analysis will also reflect the regulatory constraints or incentives applicable for the company. Identify the best installer – One of the specific stages where companies seek our assistance is to identify the correct EPC for installing the solar power plant. Selecting the right EPC can make a tremendous difference to the performance of the solar power plants and the financial returns that can be expected. Solar Mango will connect the company with innovative and established EPCs who can provide the best possible solutions without compromising on quality. Post-implementation support –We will assist the client in project review, monitoring and troubleshooting during and after the power plant construction period. 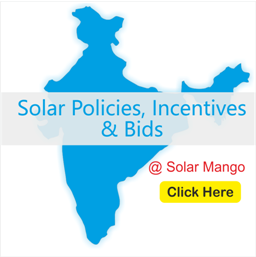 Solar Mango is the #1 Guide for Solar, with a special focus on India.